Watch of the tenth 2015 Bangladesh Premier League (BPL) match between the Dhaka Dynamites and the Chittagong Vikings at 6:45 p.m. nearby time (12:45 p.m. GMT) on Nov. 26. 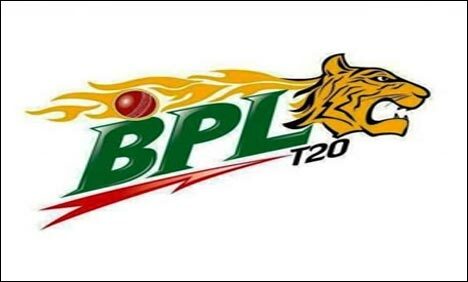 The Dhaka Dynamites will tackle the Chittagong Vikings in the tenth match of the 2015 Bangladesh Premier League (BPL) Thursday at Shere Bangla National Stadium in Dhaka. The Chittagong Vikings lost their past match against the Comilla Victorians. Captain Mashrafe Mortaza and top request batsman Marlon Samuels’ unbeaten 123 association fo ther fourth wicket secured a dazzling seven-wicket triumph for the Victorians, as indicated by The Financial Express. The Dhaka Dynamites, who won their first BPL match against the Comilla Victorians, are hoping to proceed with their triumphant keep running in the competition. The Kumar Sangakkara-drove side are set to play their second BPL match against Rangpur Riders on Wednesday, as per india.com. The Bangladesh Cricket Board (BCB) declared Tuesday an examination after Chittagong Vikings captain and Bangladesh national group opener Tamim Iqbal claimed that he had been verbally mishandled amid a match in Dhaka Cricket Stadium. “You ought to regard a national cooperative person. You may have cash yet that does not mean you will treat a national player like a poor person,” Tamim said on the occurrence, as indicated by Prothom Alo. Tough for chittagong….my full limit on chittagong…..